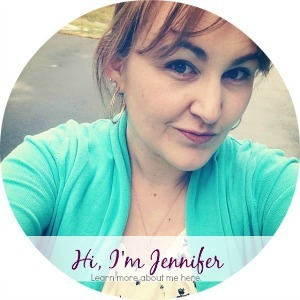 As a mom of little ones I have a mile long list of things that need to get done. I usually try to get most of it done the moment I put my toddler down for a nap. Thing is he’s a toddler and nap time doesn’t always go the way I plan. Being able to run all around the house or even the yard to get things done is essential so having a good baby monitor is key. Since having my first born almost 14 years ago monitors have come a long way though. Before all they did was provide sound and you couldn’t really go more than a room or two away. Now, all of that has changed. The choices are endless but that doesn’t mean the they are all what they promise to be. Since having kids I’ve probably used well over 10 monitors between myself and the grandparents. I’ve used half of those with just Sawyer. Some monitors get so lost in the technical aspects that they become to complicated to use or they simply don’t live up to the promises made. Not anymore though. I finally found a monitor that I love. It’s super simple to use once you’ve done your initial 16 hour charge. 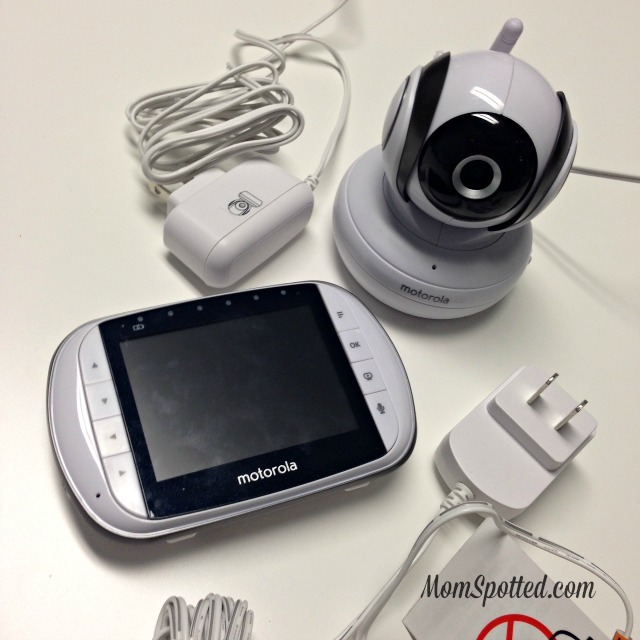 This video baby monitor is the perfect monitor to keep an eye on your little one. This monitor provides crystal clear two-way communication and showcases a full color LCD screen. Plus, you can remotely pan, tilt and zoom. You can even peek in at night with the infrared night vision and use the picture- in-picture feature to keep an eye on multiple rooms. With this monitor, you can be sure your baby is safe and sound, giving you the peace of mind you deserve. When I said set up was super simple I meant it. It’s just four pieces: camera, monitor, and two cords. They even make it so you can buy additional cameras for different rooms in your home and you can connect them all to the same monitor so you can just jump cameras when you need to look into a different room. If you have multiple children this is really helpful. It’s thinner than my other monitors and the screen is considerably larger too. They do this by putting the speaker in the back versus the front. It really doesn’t change the use of it. You can hear baby fine and you can actually talk back to baby on this monitor too! It’s been super helpful now that I’m trying to only work in my office to be more productive. I can watch all the kids play together in the living room while I try to get something done. Of course the teens like to use it as their personal drive through order window. They have since discovered the talk back feature. 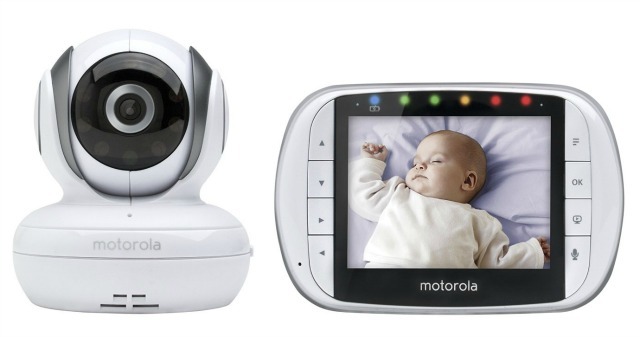 You can purchase the Motorola MBP36S video baby monitor from most major retailers and online at Diapers.com for $239. 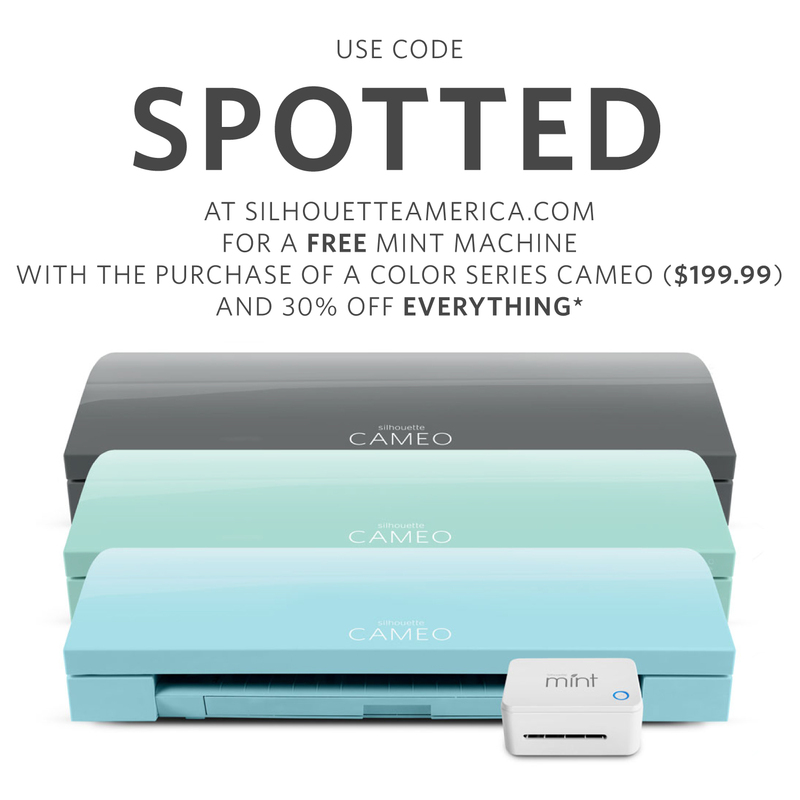 The additional cameras are $99 each. 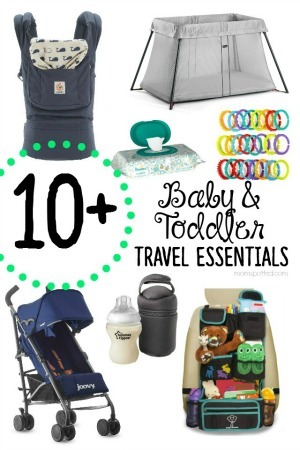 If you’re putting a baby registry together right now this monitor is a must have on the list! 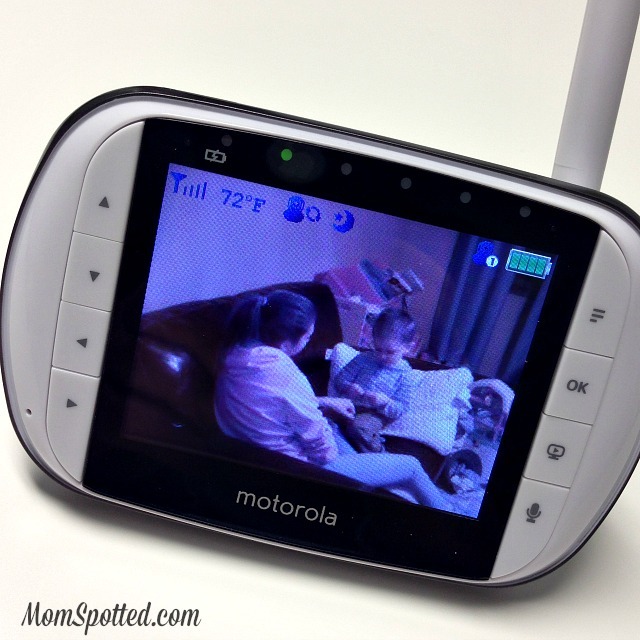 I love the clarity on the Motorola baby monitor. It looks so much better than the black and white grainy images we had back when my kids were little. This looks like a fantastic monitor for my granddaughter. I trust the Motorola brand too. We love having his monitor in our home! The picture quality is better than I’ve ever seen on a monitor, and the sound is very clear too. It works great in our 11 month old’s room. I’ve heard great things about this baby monitor. Motorola is such a trusted brand, it makes sense that they would make a fantastic monitor! Sounds nice! I love having eyes on my kids at all time. Video monitors are a must on every registry list. 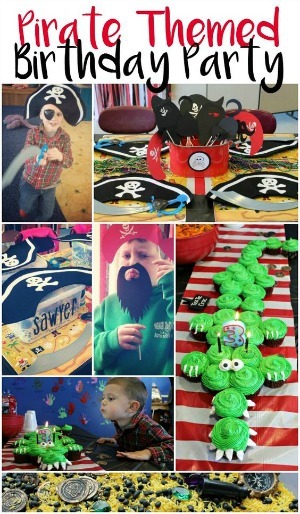 They can be used so much longer than just infancy. This Motorola looks like a great option. I can see this being a great product to have especially when you have a young baby and young siblings to entertain but need to put the little one down for a nap. Oh how I wish they had this kind of technology when my girls were infants! We had a Motorola monitor but it just did sound and lights. I would have loved a monitor like this when my son was born. I worried so much about him and this would have set my mind to ease a little more. Wow, this is very cool. I wish I had this around when my children were younger. I have to pass this along to my daughter for her new baby. thank you for sharing. I love the panning feature of this monitor. And, the drive through service…hilarious! My girls just ask if they can have a snack over it! 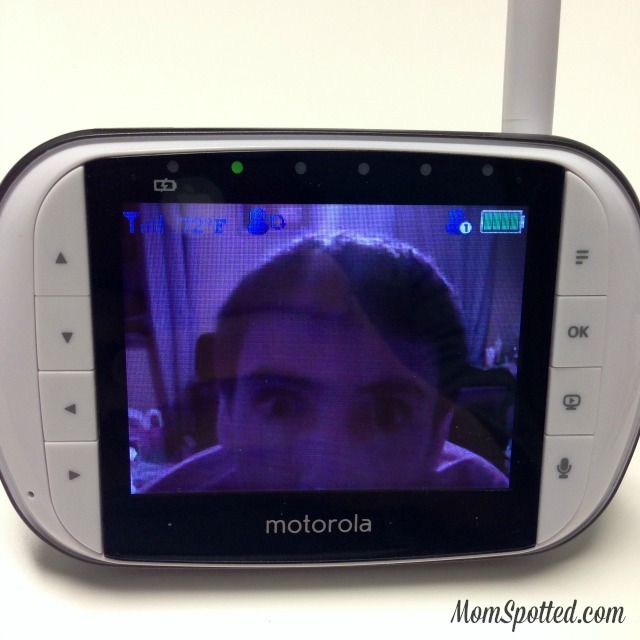 What a fantastic baby monitor! I love the picture of J! This would make getting work done a lot easier! I scrolled down, and then busted up laughing when I saw your son in the monitor LOL. I wish they had something like this when my kids were little. Monitors really have come a long way! I wish they had monitors like this when my kids were babies. It would have made a lot of things so much easier. And its a monitor that will grow with you, too. Love that! That is pretty sweet! I love having a monitor to see my lil guys when sleeping. I’m blown away by how clear the image is from the camera. That is seriously impressive! LOVE the specs on this camera and it’s affordably priced for what you get!! My favorite feature is that you can move the camera through the receiver. Wish I had one 22 years ago! Your son cracks me up! I wish they had technology like this when my kids were little, it would have made life a whole lot easier. Very cool system! 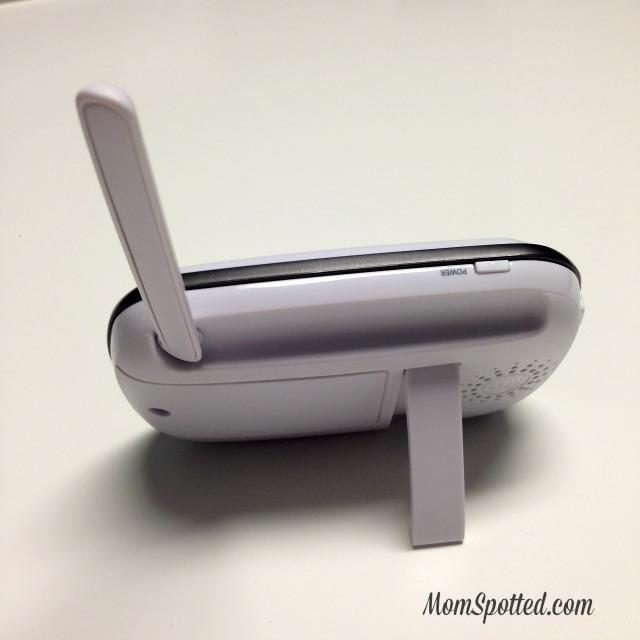 I had a baby monitor similar to this one and I loved it. 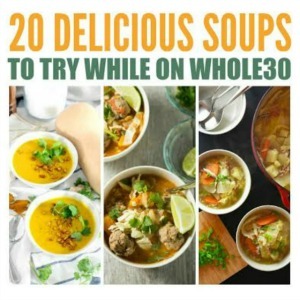 Wonderful review! These monitors have sure come a very long way… I remember when the first came out andit was basically an open intercom where you could only hear what was happening. These are impressive.